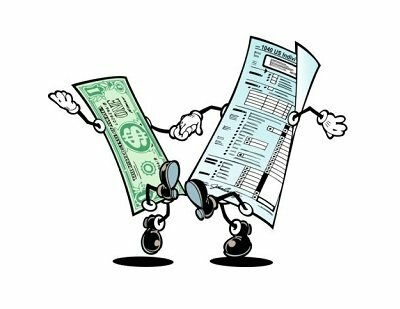 At 2ServiceU we want you to understand your obligations, your deductions and much more. We use our insurance providers to manufacture a package that meets your needs. We have Accountants with specialization in NOTARY SERVICES who offer a professional service. 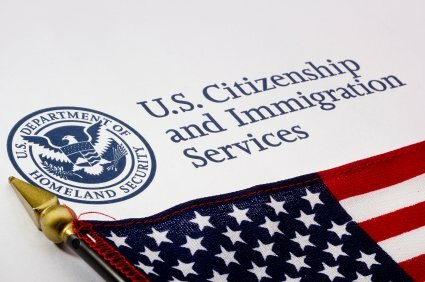 We can help you with: green card process, citizen petition, family petition, or any other Immigration service. Apostille, Will, Translations, Company Registration, FBN Registrations, Website Development, and more. 2ServiceU Inc. was founded on March 11, 2009 in the state of California. 2ServiceU Inc. was established to provide professional services at the highest quality and affordable prices. We are certified and licensed in all of our services, with more than 30 years of experience. Our founders are Mr. Miguel Rojas & Mrs. Fanny Cruz. Because of this, we at 2ServiceU Inc. believe that customers deserve the upmost respect and a company they can trust, the lowest prices, and the best customer service. Once you step into our office we consider all of our customers as a part of our own family. Our company will inspire its employees to be the best they can be. We will engage in sustainable practices and anticipate the needs of our customers. We will maximize productivity to our customers while still maintaining quality in our services. Mr. Miguel Rojas has completed studies at the Central University Foundation, located in Bogota, Colombia, earning the Title of Public Accountant (B.S.) in July, 1990. Furthermore, Mr. Rojas completed additional studies at the University of Rosario, located in Bogota, Colombia, earning the Title of Specialist in Business Administration (Masters) in November 1999. He is licensed as the following: Notary Public, Insurance Broker, Immigration Consultant, Certified Agent for Covered CA. As well as having extensive knowledge in Taxes, Payroll, Bookkeeping, Accounting and more. Fanny Cruz earned the Title of Public Accountant in May 1989. She earned the Title of Specialist in legal, financial and tax accounting system in August 1995. Furthermore, she is an IRS Certified Acceptance Agent, IRS Enrolled Return Originator (ERO), CTEC Tax Preparer, expert on Business and Individual Tax Returns, Notary Public, Company Registration (Business Incorporation), Accounting and Payroll Specialist. Fanny has more than 30 years of experience as Senior Supervisor for KPMG, Rohm and Hass Accounting Manager, SC Johnson Controller and 2ServiceU Inc. President. Erika graduated from California State University Dominguez Hills in 2006 with a major in Business Administration. She became a Notary Public and CTEC Tax Preparer in 2016. Erika is familiar with 2ServiceU Inc. services and is eager to learn and help others. Johanna is a High School Graduate with a long experience in Customer Service. She also has extensive knowledge in all the services provided by 2ServiceU Inc. She took courses in Accounting, Payroll, Bookkeeping and more. Ms. Johanna prides herself in being a service-orientated person with a drive to improve herself. She is highly dependable and goes above and beyond what is expected of her. She loves to help people when they arrive to our office. We offer a free consultation for all of your service needs. We also give you a free estimate regarding your business, as well as a free e-file for your taxes. We will give you very affordable upfront prices, with no hidden fees. Our prices are guaranteed to be lower than any other service provider. We guarantee excellent customer service. We will always be respectful and take care of you and the business that you bring to us. With our experienced employees you will not be disappointed. Always respectful, always courteous, and always professional. We promise to give you the best service possible. We are here 2ServiceU. For more detailed instructions about how to get in contact with us, or for specific directions to our address, visit our Contact Us page. Our Income Tax service goal is to provide you with information, analysis, and tailored preparation for your government obligations to present your income tax for Federal (IRS), State, and/or City. 2serviceU Insurance has been protecting local friends, neighbors and businesses against the inevitable bumps and bruises of life since 2008. Our team of professionals have all earned the Title of Notary Public. We offer a thorough and comprehensive service based on extensive training. We are immigration specialists and if you have any questions about: the green card process, citizen petition, family petition, or any other Immigration services. 2ServiceU Inc provides the support, objectivity and expertise that your business needs to succeed within the context of an ever-changing business landscape. We offer accounting, financial, and consulting services. Food Certificate, Apostille, Will (Testament), Translations, Company Registration (Incorporation), Fictitious Business Name Registration, Website Development, & more. If we can’t do it, we can refer you to someone who can. Our vision is to consider all of our customers as a part of our own family. Our company will inspire its employees to be the best they can be. We will engage in sustainable practices and anticipate the needs of our customers. We will maximize productivity to our customers while still maintaining quality in our services.